This entry was posted in Blu-Ray, Criterion Collection, Months, November and tagged anjelica huston, ben stiller, bill murray, blu-ray, criterion, criterion collection, gene hackman, gwyneth paltrow, luke wilson, movies, november, owen wilson, the royal tenenbaums, wes anderson. Bookmark the permalink. I’ve never been a Wes Anderson film for the reason that you stated, that his style seems to get in the way of storytelling. It’s as if he’s shouting, “Look! Here’s my signature style! I’m QUIRKY!! 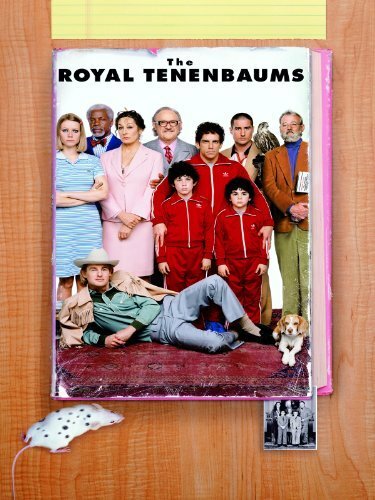 !” That’s what turned me off of “The Royal Tenenbaums.” However, I’ve only seen it once and that was years ago, so I need to watch it again with a different perspective. I just watched “Moonrise Kingdom” and really enjoyed it, looking at it as pure fantasy than anything resembling reality. His style works well in Moonrise specifically for that reason. I’d also really suggest Fantastic Mr. Fox. Royal Tenenbaums doesn’t work in the same way, but instead of being drowned in his quirk, you can simply come to appreciate it. This is either my second or third favorite by Anderson (the first being Rushmore and the other being Moonrise Kingdom). I know a lot of people are put off by Anderson’s quirkiness but I loved it here. Nice review. Rushmore will be the next Anderson movie I tackle again. I was never a huge fan of it when it came out but I’m curious to see how it holds up now. Thanks! I love this film. For me, I prefer it over Moonrise Kingdom, but they are both excellent. I love his style, creativity, and quirky characters. Definitely need to see Moonrise Kingdom at some point, I think you’d really really enjoy it. Especially if you like his work. Life Aquatic is definitely up there for me as well! I like your comparison of the colors in one being bright and the other washed-out. “Moonrise Kingdom” is about the potential of youth, while “The Royal Tenanbaums” is more about the wasted potential of adults. Interesting catch on your part. 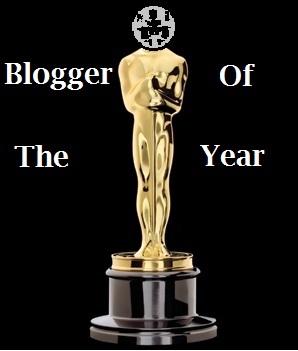 I had never even considered it until thinking about what I was going to write about. It almost makes me want to watch both movies again. i tried to watch this about 6 years ago after a long day and several long drinks. i fell asleep 15 minutes in and never bothered to try again. my loss i suppose. have not seem moonrise kindgom, but it’s on my list after having forgotten about it. love bill murray and edward norton. Bill Murray makes everything better. Literally. Everything. I’d suggest giving both films a go, Moonrise may keep your attention a little better just because of the visuals, but they are both solid films. i love the off-beat stuff, but it’s often hit or miss. Great review. And I love this movie because of the “quirky characters” We Anderson seems to create. It worked very well in this film and I really loved it. Have to check out Moonrise Kingdom now too! 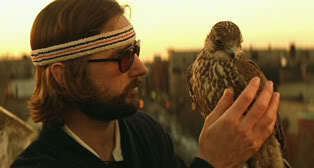 I think Royal Tenenbaums was the first film his style really worked well and then he perfected it for Moonrise Kingdom. Great review, Andy. Really want to see this one. I think I’d like it a lot. I may be seeing Moonrise Kingdom this weekend, though. Hope you made it out to see Moonrise, I think if you liked that one you’ll appreciate the similarities and differences between these two movies. I did watch Moonrise. I liked it but not as I thought I would. Review coming later in the week.